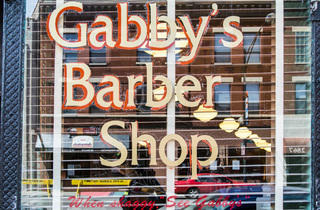 If you're looking for frills, fancy pampering or the luxury of plastic currency, Gabby's is definitely not your place. 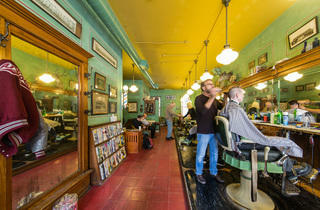 But if you're searching for a great, no-gimmicks, $16 haircut, here's your spot. 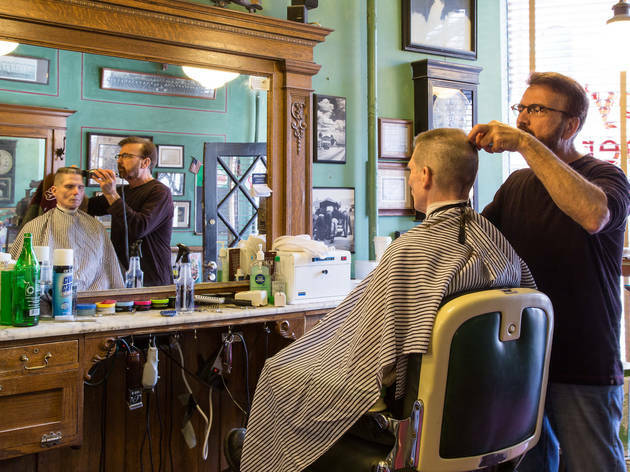 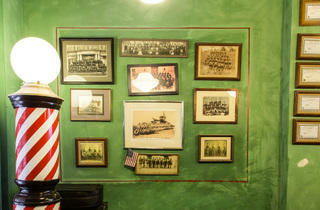 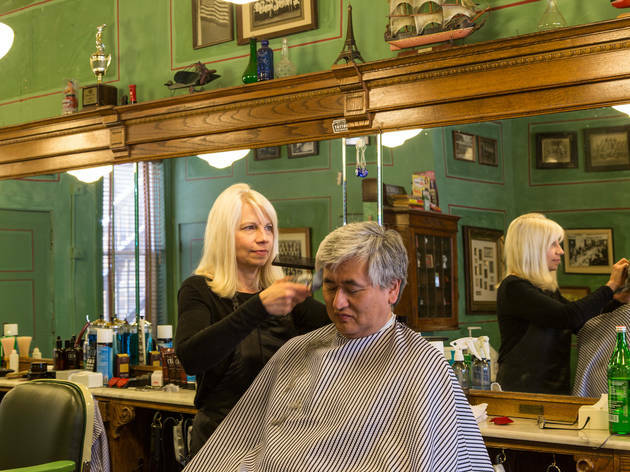 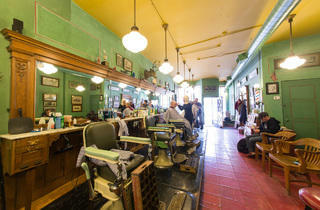 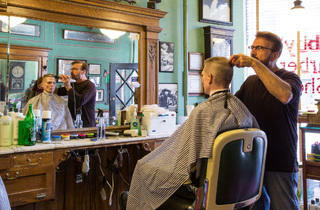 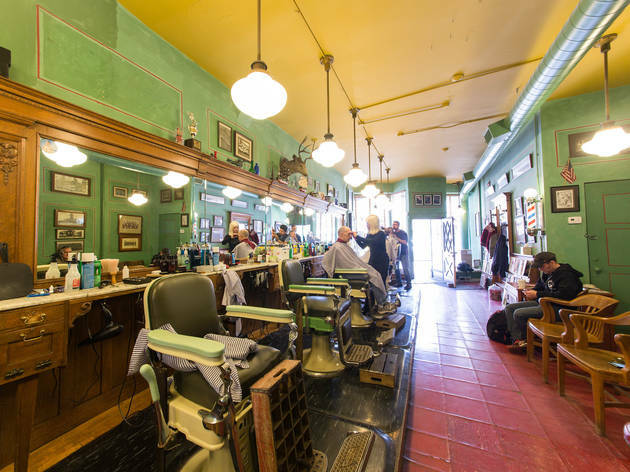 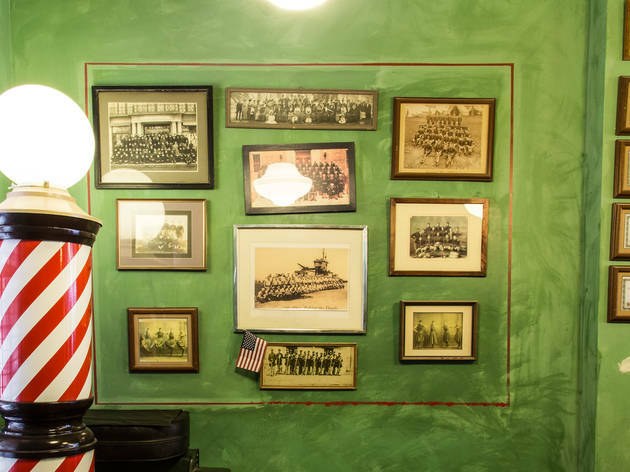 No straight razor shaves, no appointments or reservations—just five chairs, great tunes and an old-school charm. 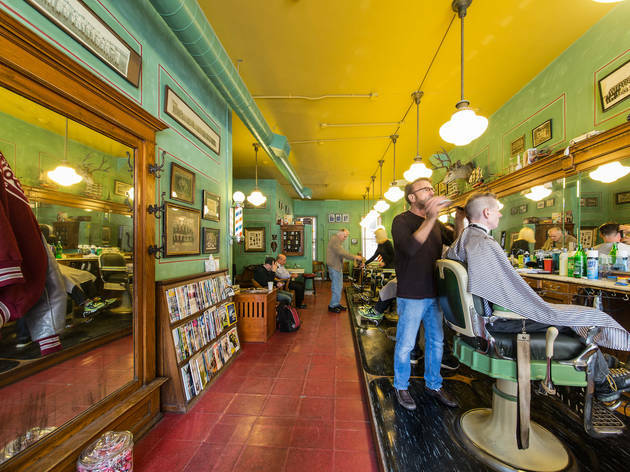 New-school bonus: free wifi, so you can get some work done while you wait. 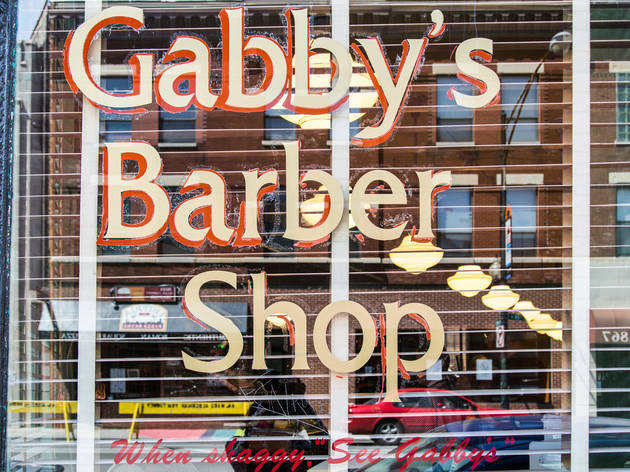 El: Brown, Purple (rush hrs) to Diversey, Red to Belmont. 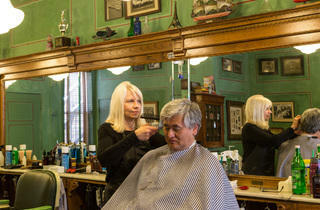 Bus: 22, 36, 76.